What does ‘Working towards Accreditation’ mean? This term is to show people that those who use it are Kennel Club members, actively working towards their specialist accreditation and are bound by the Kennel Club’s Code of Practice (PDF). 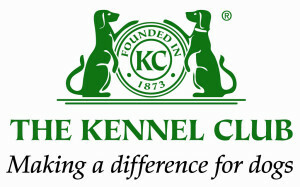 The Kennel Club’s aims are to ensure that dog owners and carers are not confused about the KCAI Scheme or its members, that the Kennel Club protects the value of the KCAI Scheme and is fair to all its members. This is why no-one can claim to be an accredited instructor unless they have gone through a rigorous process of learning and achievement via the Kennel Club’s high standards, including 5 years of teaching practice. The Code of Practice is what makes a Scheme Member stand apart and lets you know exactly how we work and what kind of service you can expect. It means I am honestly and actively learning and increasing my skills on a regular basis.